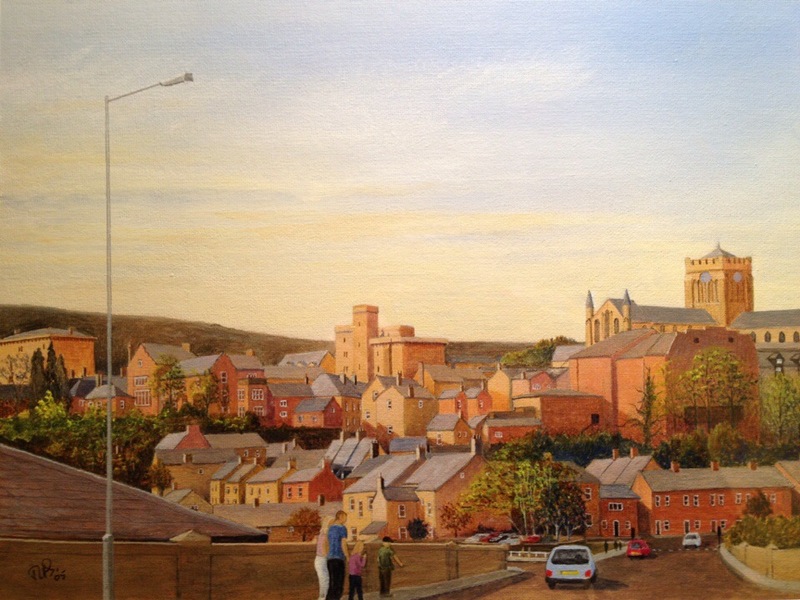 This is an acrylic painting of my favourite view of Hexham, when approached from the North, crossing the River Tyne. I lived in this market town in Northumberland for 48 years. It is where I spent most of my childhood, as did my children. To the right can be seen Hexham Abbey, originating as a Benedictine Abbey on that site in AD674. It was substantially destroyed by Danes in AD875 and rebuilt, in Norman style in about 1200 as an Augustine Priory. This entry was posted in North East England and tagged acrylic painting, augustine priory, benedictine abbey, danes, hexham, hexham abbey, hexham market, tyne, vikings by richardhartjacksonart. Bookmark the permalink.